You can be accused of careless driving (or driving without due care and attention) when the police have evidence that your driving fell below the standard expected of a reasonable and competent driver. Overtaking on roads where it is not permitted. 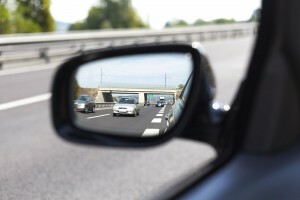 What is the difference between careless driving and dangerous driving? Careless driving occurs when a person’s standard of driving falls below the standard of driving expected of a competent and careful driver whereas dangerous driving is where the standard of driving falls far below that expected of a competent and careful driver. There is a qualitative distinction between the two offences with careless driving being less serious than dangerous driving. It is essentially a matter of fact and degree. What are the likely penalties? The court will be referred to the Sentencing Guidelines and if the court departed from the Guidelines they would need to give reasons in court. Licence endorsed with 3 to 9 points or a discretionary disqualification. When would I need help from a solicitor? If you are at risk of a penalty points/totting disqualification. It is important you contact Moore Motoring Law as soon as possible to ensure you get the best advice for your circumstances.